Have you ever read a book you just couldn’t stop thinking about after you finished? Of course you have! This book is one of those. Several of the romantic scenes are just so lovely, so perfect, so gut-droppingly, breathtakingly giddifying that I just want to reread the book over and over and over! 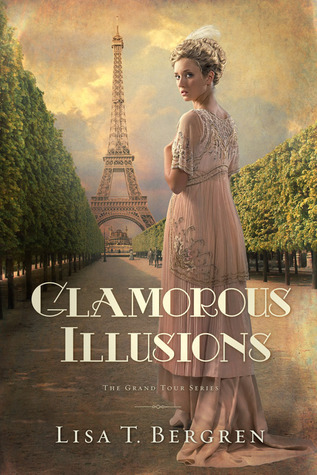 (**Spoiler alert: Think early 1900’s farm girl finds herself in an unexpected position and ends up on a Grand Tour in France with a handsome Lord at a costume party being chased around a maze… kissing… Ahhhh! **) I cannot describe how excited I am that there will be two more books in this series. And I cannot describe how disappointed that I now have to wait for them to be released. I could have gone on reading this book forever. Dear author, please hurry up and finish this series. I’m dying to read the rest. I saw this cover and was hooked.. read the title and wanted to know more.. read your review and Now I HAVE to read this book. It sounds like everything I love to read! !